@yani uli It's an old picture that was first posted in May on Weibo. But someone posted it to DC today. The general Korean reaction so far has been mostly skeptical--they think the woman in the picture is a bit too tall and her jaw is the wrong shape. Quite a few think she looks more like Jeong Eun Chae. But of course, you can't see her face in the picture. *Please, PLEASE refrain from shipper wars. As fans, we are interested in HJ's happiness--not in fighting with other fans. Sorry, @yani uli--I did not mean to say that you were doing a shipper war at all. I understood that you were just asking about something people are suddenly posting all over. I think that's a reasonable question. My impression of the Jongjoo ship has always been that it is more concerned about the actual reality and personal happiness of these people than in fighting with other fans over our perceptions. But tensions tend to run high sometimes as people get either excited or upset, and my comment was just a general reminder to us all (including myself). While it is certainly not the celebrity's fault, many people's perceptions of said celebrity are influenced by the behavior of their fans. Hope we can be supportive fans is all. Welcome back @lovely_skham glad to see you back , hope to see you back in IG too..
And I really hope there won't be any articles and it won't spread much, coz movie will definitely effect ..
That photo should be deleted. Inrang is showing so KDW may wait, but he hates rumors. All I can say is that it is hard to tell. And an unexplained photo is just that, unexplained, ....as Kang Chul said, there should be context. As for the girl’s height, she is in the foreground, somewhat half a step behind, so there could be height and figure distortions. The recent photos of HJ in Inrang promos show a really tired look and either a bad angle or a little face bloat, different from a full photo of her. Paris shows a very very svelte HJ, face and body. Well, Soompi now has posted a summary of the statements of both agencies. HJ was in LA to talk about a movie (side note: interesting! ), and her schedule crossed over a bit with kdw's when he was there filming a different movie. So they along with other friends went out to eat a few times. I would do that if I were visiting another country and had friends who spoke my language there, too. But of course the picture only shows the two famous people, implying that they are dating. The official statement of both agencies is they are only friendly colleagues, and that they are not dating. I think that whoever posted that picture so close to this movie release did her a great disservice. It's brought out the anti-HJ knetz crazies. It's set some people to be vocally against Jongjoo shippers (who are a massive part of her fandom and who additionally have been diligently promoting Inrang). She does not need her own fans fractured when it's time for all of them to come together and support her next work. I agree, @frozentundra I wonder what the person who posted the photograph was thinking about. It was taken in May, why re-post in now, just before Inrang? The buzz it is generating is not the right kind of buzz at all. (Apart from fracturing the fandom, I understand knetz are again bringing up her family issue.) I really want HHJ to do well in this movie, and to be praised and talked about for her acting, rather than because she's in a 'scandal' with her co-star. As for the other matter, well, as we shippers have always maintained, what we hope for is their happiness. I would also do the same - meet with friends for a meal while in town together - but if there's more to it, so be it. I don't see any call to talk about sinking ships just yet as both have denied the rumours. What troubles me, though, is that people are saying HHJ was just flirting or being overly friendly with LJS when they were filming. I think that's a disservice to her as well, as, firstly, that is not in keeping with her usual behaviour on set (as I see it, anyway), and, secondly, surely as a seasoned actress, she would know people would 'judge' her for it. There was definitely chemistry between them; whether they built on it to develop something further no one can tell, or if they tried and failed, but I don't think what was/ is between them can be dismissed as 'flirting' or 'friendly behaviour'. Anyway. Agree with everything you said, @xiaolongnu71. I don't believe they were faking or flirting casually or pretending. No one can do that 24/7, I don't care what kind of actor you are. They had a real connection, and what happened after that, we don't know because it was private. It's not very complimentary toward either of them to insinuate something else. They're adults. They knew what they were doing. As to the other, right now we have their word for saying they are friends but not dating. Whether that changes in the future or not, of course no one can say, but I hope whatever happens leaves the people we love most in a state of being happy and feeling like their best selves. Why is knez always bring about her family issue, it was long time ago and HJ did not involved at at all. And why this photo come right before inrang?? Did they really need to do this? I know this picture exist long way before, but it was shut down really fast...so what the porpose of publishing this?? As much as love KDW...i still love jongjoo, hehehe so keep calm everyone and let it flow. @lovely_skham Hellooo captain....i need you to analize this or may be frozie @frozentundra or @polar15 or someone else???? Hello everyone and bravo Captain @lovely_skham for coming back with us. So so busy with personal life but during this time, I just want to be back here, stick together with you guys, sharing and cheering up each other. Putting Jongjoo relationship aside, It's very sad the past 2 days that I have seen how netizen negatively responsed to that dating rumor, it's very unreasonable and unfair for HJ to get attacked and bashed due to that unclear photo. This is a sensitive time for her, during her movie promotion and right before its airing. I hope she is strong to get out of all this mess, and so as us, everyone please stay calm until everything get clear. I saw shippers crying and jumping off this ship. Maybe they know something that we don't? OK at the end of the day we don't live JS or HJ's life. If they are together, that would be great success of this ship. If they are not, accept it and respect their own choice and support them as individual. I think in this ship we have tried really hard to be factual. We shipped the in the first place not because JS was our oppa or because HJ was our unnie bias, but because we supported their own actions and words outside of the script. Sometimes I see fans who sort of pick out their own partners for their biases--manly men with thick necks are my ideal type, so I ship that guy with my girl! I love guys who wear eyeliner and bleach their hair, I think they're totally my type, so he should date my unnie! I'm being facetious here (sort of), but this kind of attitude has always really grated on me, because it matters not one iota what YOUR ideal type is, or if you like this guy or that guy. That choice is entirely up to the unnie or oppa in question, and no one else. So I certainly do not want to be an overpossessive fan. Real relationships are not about if the couple are a "visual couple" on screen, how hot they look, how beautiful they are, etc. (And besides, everyone in hallyu is good looking, so you have to base it on other distinctions, right?) Real relationships that last are built on communication, mutual respect, common interests and goals, and an ability to handle stress and conflict that naturally arise in life. We as fans see some things, but we don't see all of it--just what they choose to show us. But I think in this ship we have tried hard to support what we saw as the most accurate information we had. I absolutely don't believe that all we saw was an act. Real couples have those characteristics. 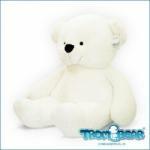 Many of us here have been in serious relationships and we recognized some of those same traits. But after they were out of the spotlight, we don't know what has gone on in their private lives. There have certainly been a lot of indications of continued contact between them (like his brother following her, and some of their direct comments about each other long after the drama ended). But in some ways that we would have liked, there hasn't been news. My feeling of this ship is that we saw two people really happy with each other, and we wanted to support them in their choice. We just LIKE these people. And I think that even if it doesn't work out in the end, we are real fans of them. We care about their happiness, and we want to support them in whatever their choices are. My impression from HJ's interview from her Cine21 interview yesterday (which was done before all of this LA picture hoopla came out) is that right now she would like the focus to be on her work, and not dating rumors. They pointed out that this was her second time to be in a film with kdw (as if nudge nudge wink wink), and she pointed out that it was also her second time to be in a film with two of the other main actors as well. And said that it was nice that they could just focus on the work and not have to spend time in getting-to-know-yous. She's worked really hard on this film, and it's unfortunate and a bit cruel that all of this is such a focus (with the accompanying horrible knetz comments), when I think she would like to showcase the actual work she and others did. So let's let the focus for right now be on her film, and support her in that. Afterwards there is plenty of time to see what other choices she may make in her life, which after all is hers. At the end of the day, my wish is for her to not feel pressured, but to realize that we as fans, whether it's because we're Jongjoo shippers who honestly and truly tried to support her in something that seemed to bring her great happiness, or as nonshipping or other-shipping fans (we are ALL fans equally if we love her--no need to judge who is a "real" fan)--to realize that we as fans honestly just LIKE her. That as human to human, we see a good person. That even if we aren't her personal friend and haven't met her and never will, that we just see a fellow human who we care about. We appreciate her work in telling us stories that touch our hearts. And as simply a human being, we want happiness for her. That's all. Very well said @frozentundra. I will never regret the decision I made when I shipped this pair. It's my first and last. Be it a yes or no, I will continue to support them individually. It's their lives and they are entitled to their choices. Not us fans to dictate nor criticise. But upon hearing the negativity in the social media, I can't help feeling sad for HJ. Pray she has the strength to pull through another hurdle. We know she had been through some. I love them for who they are, for their personality, character and excellent acting. May them continue to perform in dramas / movies so that we get to see and be happy with them. Wishing them well, happiness and much love in whatever they do, wherever they are, whenever. My faith remains. Thanks chingu for your positivity insight and attitude it's really make me calm. I never regret when I shipped them. But I'm not giving up, yet. It's ok right? I still have a hope that they ( HJ & JS ) might somehow somewhere struggle with this situation and i hope JS can cheer up and stay besides her. But i will prepare if something happened not according to our thought. Let's pray for their happiness. 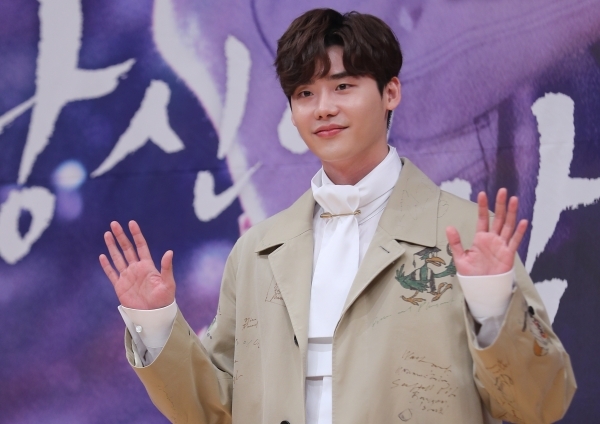 Actor Lee Jong Suk is said to have bought a building in Hannam-dong, Yongsan-gu, Seoul, where a high-class residential complex is concentrated. According to the real estate industry on the 16th, Lee Jong-seok bought a building with two stories above ground and one underground near Hannam Hill, which is known as Hannam-dong high-end residential complex. The purchase price reaches 3 billion won. The building was built in 1988, with a land area of 122 square meters (about 37 square meters) and a floor space of 154.98 square meters (about 47 square meters). The building, which had been built as a single-family house at the time, was remodeled and found to be operating a fusion restaurant. According to the person in charge of building sales information system building, this is a place where commercial entities are active due to the large number of workers and foreign entrants. Gangnam is classified as a commercial area with relatively high visitor prices because it has excellent accessibility and high-class residential complex. Earlier, Lee Jong-seok bought a shabby house in Sinsa-dong, Gangnam-gu. After the expansion and remodeling, the '89 Mansion 'which is a cafe and a restaurant is opened and is operating directly. He is showing a profit of about 1.5 billion won through the Sinsa-dong building. Representative Kang Gi-sup said, "The building is located in a traditional village where a number of high-end complexes such as Hannam Hills as well as Hannam Hills are concentrated and famous residents as well as a large number of local and business people reside." Lee Jong Suk - I think it is a purchase of a building. " P.S. WOW! IS HE GOING TO OPEN NEW RESTAURANT??? LEE JONG SUK IS ALSO JOINED THE "7 BILLION WON CELEBRITY BUILDING REACH LIST"! The complex at the top part of the red circle and beyond that, is Hannam the Hill. That said, wow, there are still little quaint buildings like this in the area, sitting on a gold mine, location-wise. Nice for a resto. So today's the premier of uri HJ's movie, Inrang. Sooo excited and hyped for the movie coz the trailer looks so badass. Hopefully the airing rights in other parts of the globe will be possible. HJ and Inrang team FIGHTING!!!!! ugh on another note: Missing seeing JJ together. too pretty. My heart. Stay young and beautiful angel!!! HJ looked so pretty at her red carpet event! And happy W anniversary, too. It first aired July 20, two years ago. Miss that couple a lot.